Geico is running a series of YouTube commercials rewarding viewers who opt not to skip after 3 seconds. 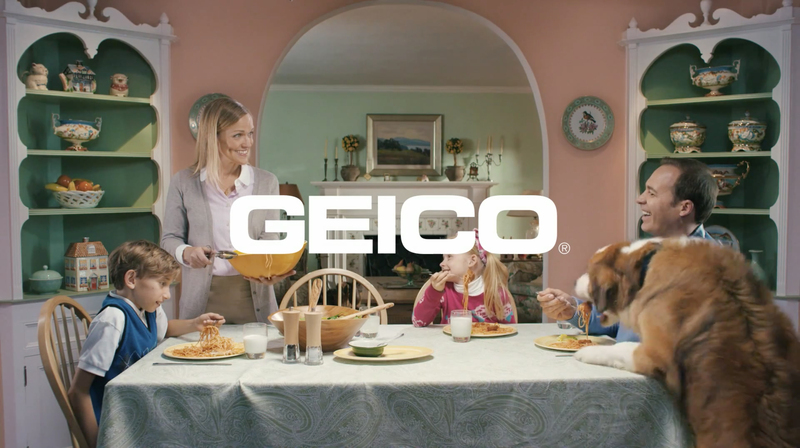 The prime message is delivered right at the beginning, with the voiceover telling viewers they can’t skip this Geico ad because it’s already over. 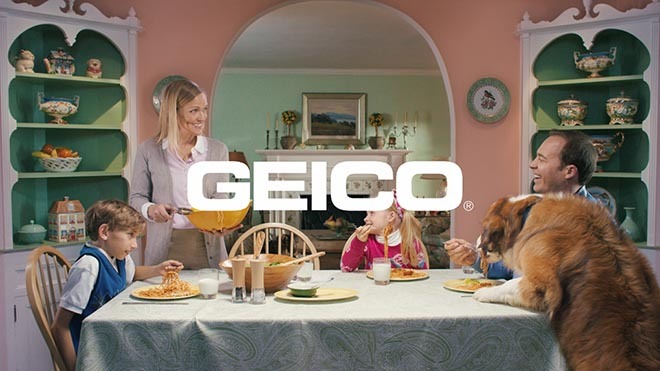 Those who stay on get to see what happens when characters in Geico ads are put on pause. A family dinner table becomes the family dog’s dinner table. In “High Five” an untended barbecue goes awry. In “Elevator” a new arrival has to work out how she’s going to get to the second floor. In “Cleaning Crew” a rogue vacuum cleaner develops a mind of its own. Each commercial is presented in 15 second, 30 second and extended one minute versions. The Geico Unskippable campaign was developed at The Martin Agency, Richmond, by chief creative officer Joe Alexander, group creative directors Steve Bassett and Wade Alger, associate creative director Neel Williams, associate creative director Mauricio Mazzariol, executive producer Brett Alexander, broadcast producer Liza Miller, junior broadcast producer Coleman Sweeney, business affairs supervisor Suzanne Wieringo, senior integrated production business manager Amy Trenz, financial manager Monica Cox, group account director Brad Higdon, account supervisor Josh Lybarger, account executive Allison Hensley and senior project manager Karen McEwan. Filming was shot by director Terri Timely via Park Pictures with executive producers Justin Pollock, Jackie Kelman Bisbee, and line producer David Lambert. Editor was Caleb Hepler at Whitehouse Post with executive producer Kristin Branstetter and producer Jojo Scheerer. Colorist was Tim Mascik at Company 3. Post production was done at Running With Scissors by Flame artist Chris Hagen, executive producer Scott Friske and senior producer Cheryl Lage. Sound was produced at Rainmaker Studios by engineer/mixer Jeff McManus. Music was produced at APM.